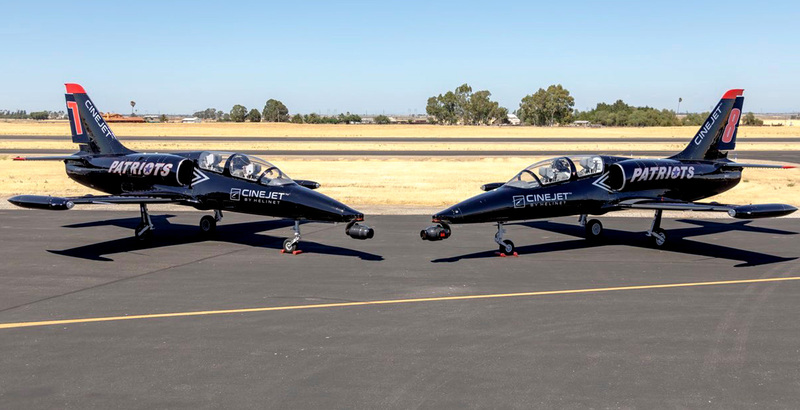 CineJet™ is the industry’s first, Aero L-39 Albatros jet featuring a customized gyro-stabilized SHOTOVER F1 RUSH camera system designed for high-speed aerial cinematography. 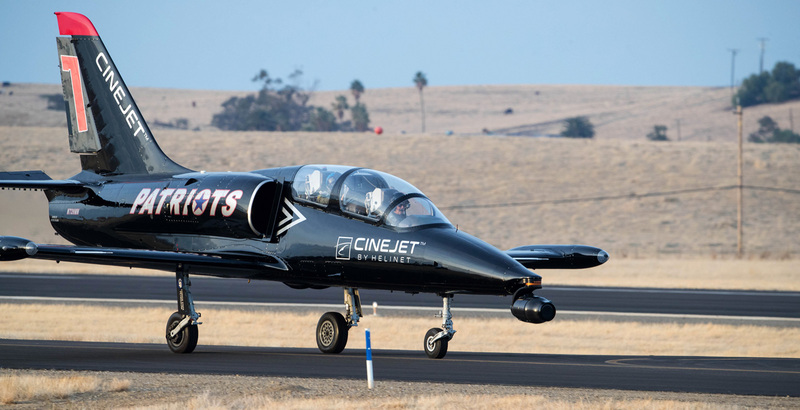 Developed in partnership with Patriots Jet Team, CineJet™ provides optimal jet aircraft performance, excellent maneuverability, and unprecedented camera angle options due to the sleek profile of the aircraft and the innovative mounting of the F1 camera platform. 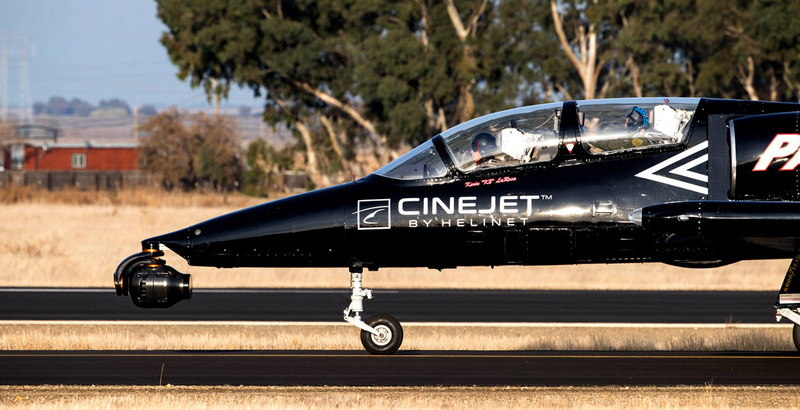 Multiple CineJet™ aircraft rentals are now available for commercial production work across the globe through Helinet Aviation Services. 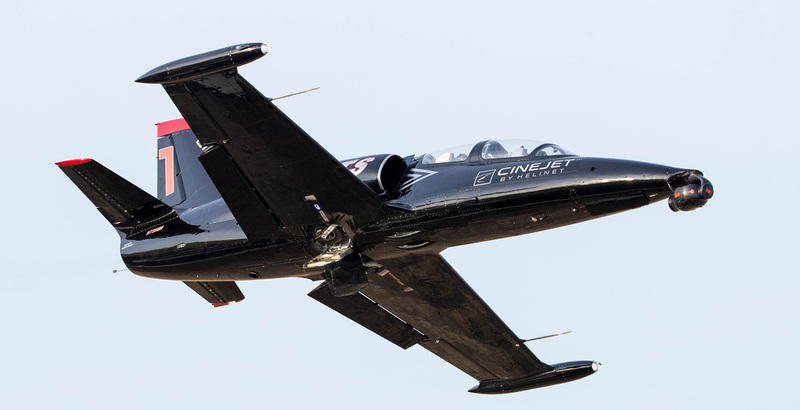 CineJet™ was developed to address the growing demand to shoot high-speed objects for television, feature films, high-performance photography, scientific research, and commercial OEM aircraft marketing. The SHOTOVER F1 RUSH used by Helinet on CineJet™, is specifically tailored for the unique capabilities of the jet platform, providing incredible dynamic range and unsurpassed 8K image quality at elevated speeds exceeding 350 knots and during maneuvers approaching 3G’s. The open platform design of the F1 RUSH system allows for future resolution growth and a comprehensive range of professional camera and lens combinations depending on the needs of each client, and as new technology comes to market. 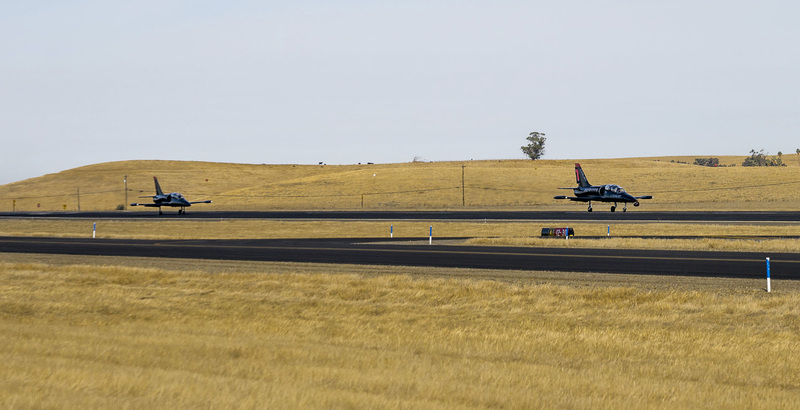 Further increasing the functionality and capabilities of CineJet™ is a specially developed multiple antenna array, installed by RF Film Inc., to deliver high definition video, GPS data, and ground-to-air audio communication. 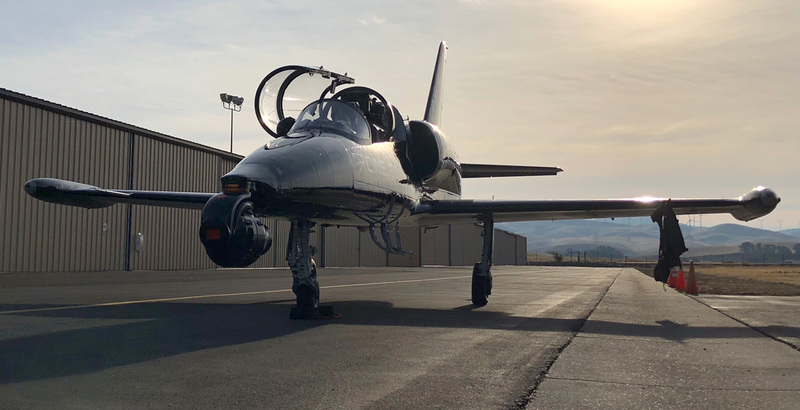 The aircraft is flown by Helinet’s VP of Aerial Film Production Kevin LaRosa II and Patriots Jet Team Founder, Randy Howell. For over 16 years Kevin has served the film industry’s top productions as a stunt pilot and aerial coordinator, and is a member of SAG and the Motion Picture Pilots Association. Randy has accumulated more than 23,000 hours of flight time and has over 30 years of flying experience with United Airlines. 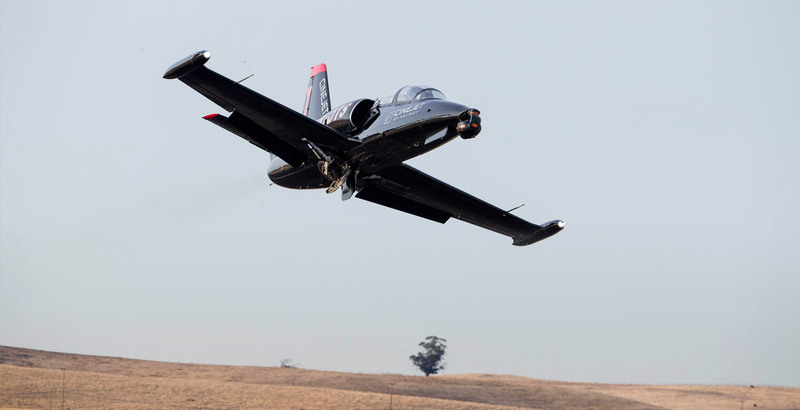 He has been an advanced instructor in aerobatics, formation, UPRT as well as a Check Airman and Simulator Instructor in a multitude of aircraft. Helinet Aviation is a full-service provider of aerial production services to the motion picture, television and advertising industries. Headquartered in Van Nuys, California, with an office in Atlanta, Georgia, the company has more than 30 years of aerial production experience shooting live events, television series and big-budget Hollywood feature films. Helinet’s production department offers a full complement of aerial solutions for productions including a variety of single and twin-engine turbine helicopters, jets, small to heavy lift drones, high-performance gyro stabilized camera systems, and an array of sought after camera and lens packages. From script breakdown, FAA paperwork, to pulling in the right assets, Helinet provides turn-key aerial production services and rentals within the United States and abroad. For more information contact helinet.com or by phone +1 818 902 0229. We’re here to help you, please contact us. ©2018 HELINET. All rights reserved.